Over her 20 plus years of service to the nonprofit sector, Liz has served in a variety of capacities including volunteer, fundraising and program staff, board member and consultant for a number of nonprofit agencies in the Tampa Bay and Key West communities, state of Florida, and the United States. Past staff positions include Girl Scouts of West Central Florida, Nonprofit Leadership Center of Tampa Bay, Cystic Fibrosis Foundation and the Florida Holocaust Museum. She has served as a proud member of the Association of Fundraising Professionals, Social Enterprise Alliance, Young Nonprofit Professionals Network, League of Women Voters, Daughters of the American Revolution, and Emerge Tampa. She most recently served as the Founding Board President of Nonprofit Consultants Connection, a membership association of peer consultants that promotes excellence in the field of nonprofit consulting. Liz also served as Board Vice-President for Are You Safe, a nonprofit agency advocating against domestic violence and providing free legal assistance to victims. She is a Life Member of the USF Alumni Association and a BoardSource Certified Governance Trainer. 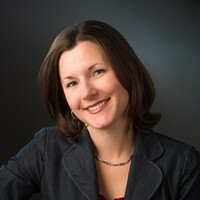 Liz currently serves as President of Connectivity Community Consulting, Inc. a company that works primarily with nonprofits in the Tampa Bay community. As lead consultant she works collaboratively with her clients to create strategic consulting solutions that address a variety of areas including: nonprofit capacity and community building, organizational development, philanthropic advising, training & workshop facilitation, and coaching & mentoring. She provides trainings on topics such as best practices in board governance, the next generation of nonprofit leadership, and meaningful board service. Her consulting clients include those interested in making meaningful connections in their local communities and the nonprofit sector including: the National School Foundation Association, Gulf Coast Community Foundation and Allegany Franciscan Ministries. Whatever the topic of expertise, Liz’s work places focus on community building and resource sharing to help an organization and an individual meet their mission. Before her career in the nonprofit sector, she worked as an English teacher and dance-team coach in the Florida public school system teaching both high school and middle school in Tampa and Key West. Liz first moved to Tampa Bay to pursue her Bachelor’s degree in Secondary English Education at the University of South Florida, where she also earned her Masters in Public Administration and Certificate in Nonprofit Management. These experiences as well as the many educators in her family have instilled a deep belief that continual education is crucial to individual and agency success. Through her current work in the nonprofit sector she develops training courses and curriculum that integrate her love of teaching with her knowledge of nonprofit best practices.